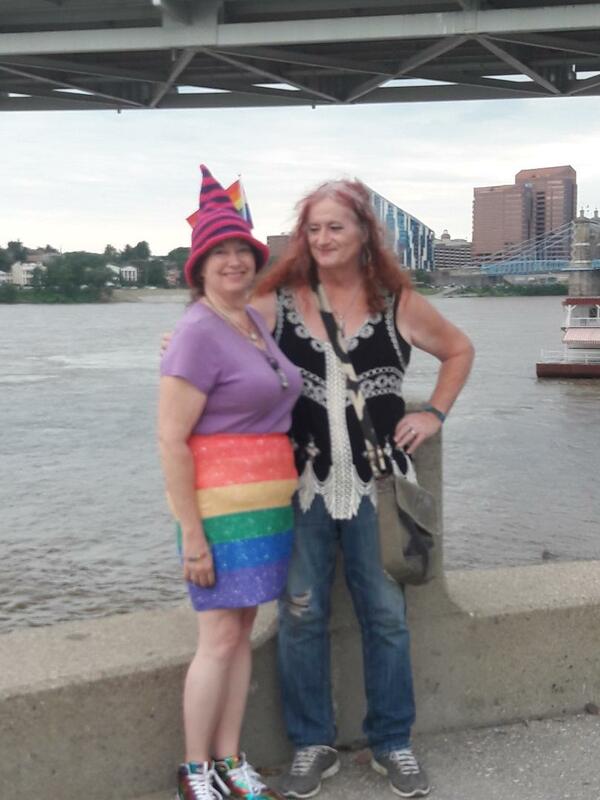 Last night was the third Thursday monthly social for cross dressers and transgender women Liz and usually attend. At last nights' get together, seemingly, everyone had a good time and even had a couple of trans men attend. The venue we go to is normally very empty except for our group and last night was no different. We even have the same server. All went well until it was time to pay and Liz was handling the credit card receipt to our server. For some reason, the server proceeded to call me "he" twice in the same sentence...to Liz. I found out if there is one thing more dangerous than misgendering me to me, it's doing it to Liz. In a split second, Liz fiercely set the server right. I was not a he! It all happened so fast I barely had a chance to comprehend what just happened. "I'm surprised that your endocrinologist didn't tell you about laying off bananas while on Spiro. Bananas (with peanut butter) has been my favorite mid-morning snack since childhood. I can even have withdrawal symptoms if I don't get my beloved banana boost. I'm sure that is why I took note of Spiro's effect of a potential potassium build-up when I was researching it many years ago. I would sacrifice my daily banana, though, for the lessening of my testosterone, but my levels have gone down with age, anyway. Speaking of bananas, have you heard that Mike Pence is so homophobic that he eats them sideways? :-)"
In all fairness to my VA Endo Doc, she seems to be over worked and under paid and remembering back not so long ago, my Veteran's Administration Medical Center didn't even have an Endocrinologist at all. I really have had no problem with the care I have gotten at the VA but on occasion you have to remember you get what you pay for and be patient...or be the patient. Ironically, it was a transgender friend of mine who reminded me about bananas when I started on Spiro. And yes I have heard that about Pence. Saturday night, we are meeting up with a cross dresser friend of ours who knows Pence's brother over in nearby Indiana. It should make for an interesting dinner conversation! I have mentioned a couple times here in Cyrsti's Condo about how I was tricked into receiving a deeply discounted subscription to Cosmopolitan Magazine. What happened was when I was buying clothes one day, I was offered a "free" subscription. Of course, nothing is free and the subscription turned out to be only five issues which would automatically renew unless I followed a convoluted set of instructions to cancel it. Amazingly though, I found plenty to interest me in a publication targeted mainly to "female identifying persons." Even more impressive is I found that definition in the editor's comments. For some reason my subconscious is tuned into anything remotely related to transgender issues when I read (or even scan) another article or post. Later on in the issue (May) I found out why the editor singled out "female identifying persons" for her mini editorial. It turns out Dove is running an advertising campaign called "#Show Us - beauty isn't binary" because 70 percent of women don't feel represented in media and advertising. 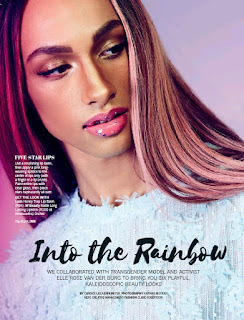 Further more, model and trans activist Elle Rose of South Africa was featured in the ad. #Show Us issued this statement March 28:The lack of true representation in the media of women of all shapes, sizes, ethnicities, and identities is glaringly obvious. ... Dove has undertaken a survey of women which found that 70 percent of them still do not feel represented in the media and advertising. 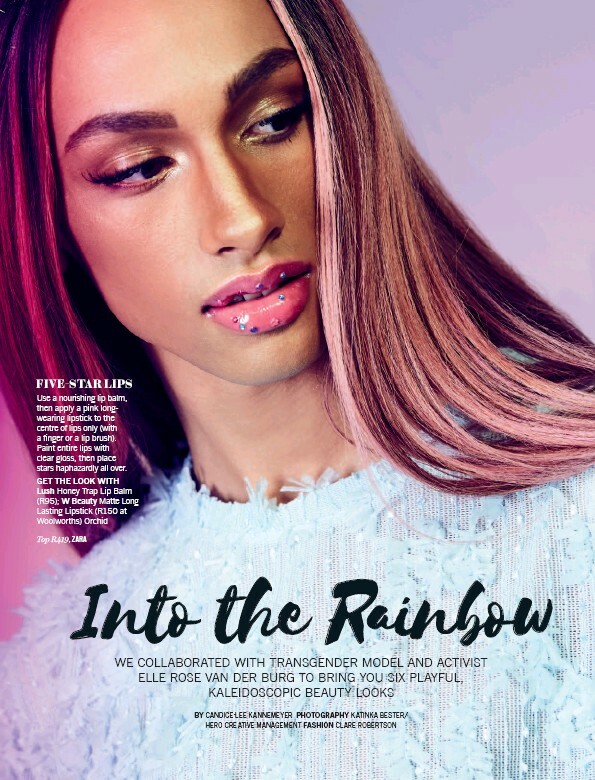 It's about time we transgender women are included in the main stream media. As the Cosmo editor wrote so well, we are all "female identifying persons." 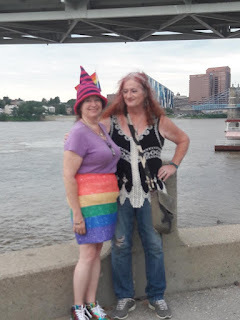 Yesterday's mammogram and today's call from my endocrinologist have proven to me again how my transgender journey came from having no choice and is definitely no game. I have always been humored in a negative way by those who think any of us had a choice to go down this road. Even though I chose the newer 3-D method of mammogram (thanks Michelle), the procedure was no walk in the park. 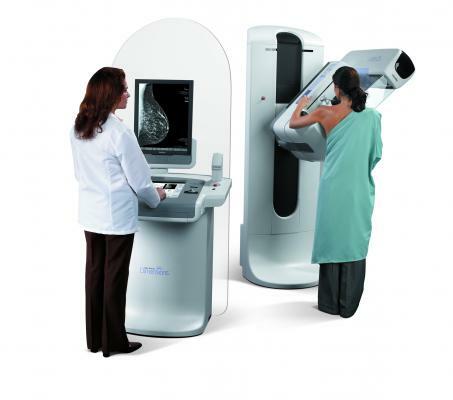 For those of you who don't know, a "3-D gram" provides a better look at denser breast tissue, normally associated with transgender patients. The technician was different in how she phrased the question most civilians want to know, when she innocently asked if I had completed my Mtf transition or still was expecting work to "move things around." I had a notion to say it was none of her business until I thought ahead and realized this person was going to cause me some potential discomfort. So I just replied I thought I was close to being done. Our local Transgender community was recently shocked by a trans woman who passed on (in her 40's) from complications when she went through breast augmentation, facial feminization and gender realignment surgery in the same procedure. The game part of this post will be coming up in my next Cyrsti's Condo offering, as this one is getting a little long. Stay tuned. I have decided to open my Trans Ohio Symposium workshop with a blast from my past and borrow a line from Robin Williams in the movie "Good Morning Vietnam." 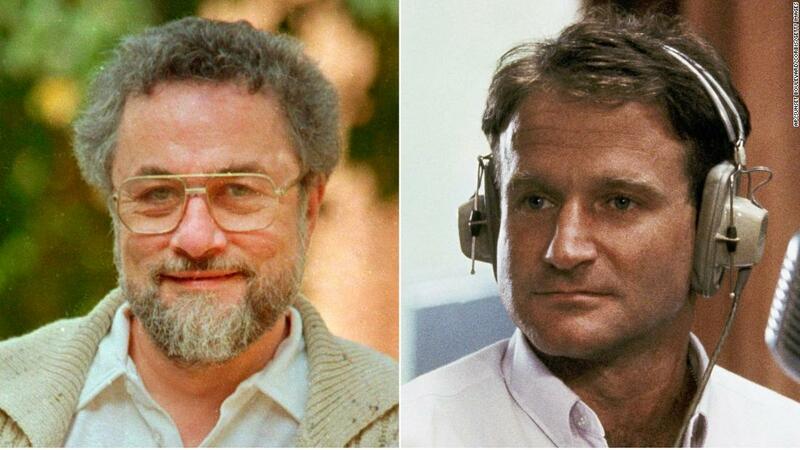 If you are not aware, Williams played American Forces Vietnam disk jockey Adrian Cronauer. Williams in the movie opened his morning radio show with a hearty "GOOD MORNING VIET-NAM!!! I was on the radio in Thailand not long after Cronauer and hosted the "Ozone Theater." It was quite the experience being the only tie in to home for thousands of lonely Air Force troops on a combat base. I feel like since I have one of the earliest workshops at the symposium, Saturday morning at nine after breakfast, having someone yell GOOD MORNING TRANS OHIO!!! will at the least wake everyone up. It also will be a great lead in to my topic "Gender Dysphoria, from Army Tough to a Feminine Life." I guarantee I will wake everyone up! Then, my major task will be to keep them interested.